Point of View New York City: POVNYC in the New York Times! POVNYC in the New York Times! The New York Times is featuring "Point of View New York City in "Bookshelf" by Sam Roberts in the Metropolitan section on 8/10/2014. Nazi Spies and New York Perspectives is illustrated with my photo "Fading Memories", showing a mural of the World Trade Center at the defunct Neptune Inn on City Island. 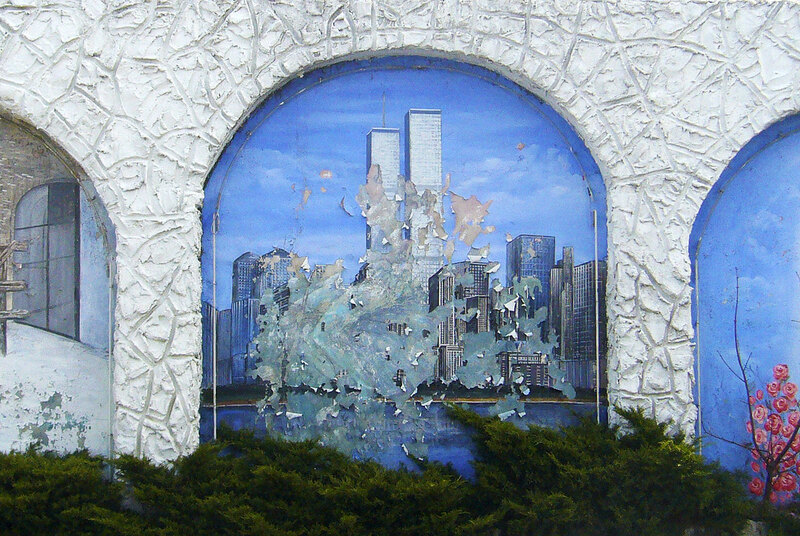 A mural of the World Trade Center on City Island from a book of photos by Janko Puls.